When it comes to your wedding, saying “yes” to your dream dress may just be the biggest decision there is to make—aside from choosing who you’ll be swapping vows with while wearing it, of course. No need to panic, though. 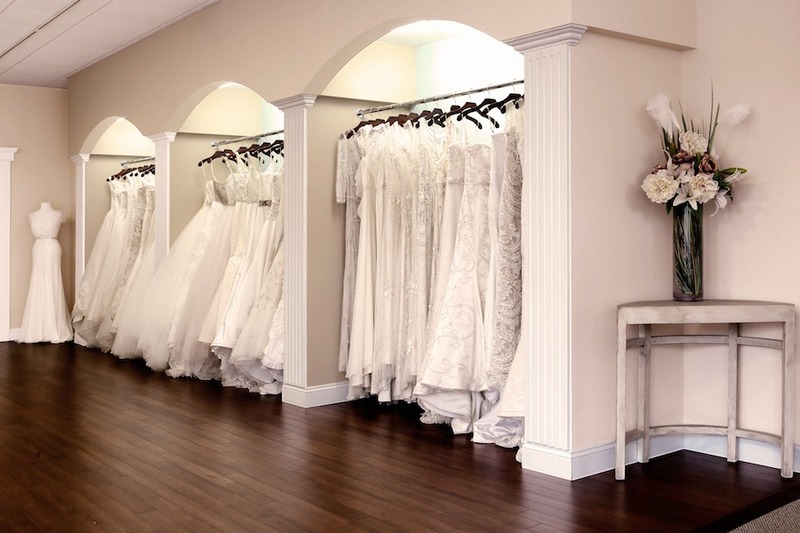 Whether you’re searching for that ballgown you’ve dreamed of since you were a child or something a little more outside-the-box, you’re guaranteed to find a look that’s perfectly you at any of these local bridal shops. 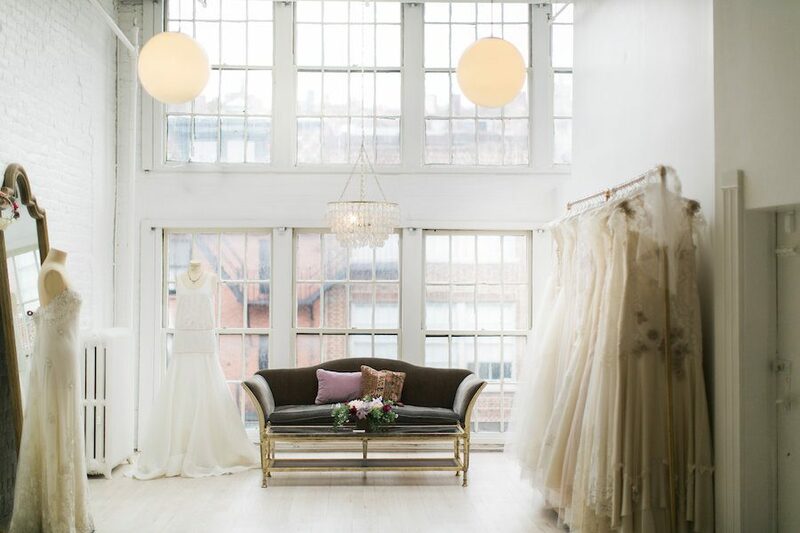 This small, sun-filled Beacon Hill showroom teems with romantic gowns for brides who march to the beat of their own drum. With the help of a personal stylist, try on dreamy dresses from Alexandra Grecco, Lela Rose, Limor Rosen, and more in one of two private bridal suites. Bonus: In addition to gowns, the shop carries a wide variety of accessories (including vintage finds), which you can browse as part of a 30-minute accessory appointment. 53 River St., Boston, 857-277-1669, ceremony-boston.com. This sunny Newbury Street showroom brims with gowns by top designers such as Amsale, Carolina Herrera, and Elie Saab. The upscale store also offers accessories, from veils and headpieces to jewelry and shoes. The cherry on top? L’élite’s on-site atelier can masterfully tackle any needed alterations, as well as bring to life any custom creations you dream up. 14 Newbury St., Boston, 617-424-1010, lelite.com. At Bella Bridal Shoppe, you’re the only bride in the spotlight: Salon owner Ramona D’Agata will give you her undivided attention and pinpoint your perfect wedding gown, whatever your style or venue. Choose from a wide selection of gowns by Jenny Yoo, Blush by Hayley Paige, Allison Webb, and other designers during a one-hour appointment or, for a $200 fee, have the full salon to yourself for two hours with champagne for added merriment. 339 W. Cummings Park, Woburn, 978-388-4388, bella-bride.com. For 30 years, the stylists at Allegria Bridal have helped brides discover dresses by Augusta Jones, Matthew Christopher, Legends by Romona Keveza, and more. The appointment-only shop also offers an entire floor of bridesmaids’ dresses, plus a generous selection of accessories from glittering headpieces to elegant belts. No need to take your gown elsewhere for alterations either: The shop can tackle any modifications in-house. 285 Belmont St., Belmont, 617-489-1449, allegriabridal.com. Yes, the stylists at Flair can outfit your squad in the chicest of bridesmaid dresses, but they’re also pros at helping each and every bride find her own look for the big day. Don gowns from Hayley Paige, Nicole Miller, Tara Keely, and other designers all for under $4,000, as well as accessories and furs for rent. Flair’s services also extend beyond your wedding day with dress cleaning and preservation services. 140 Newbury St., Boston, 617-247-2828, flairbridesmaid.com. 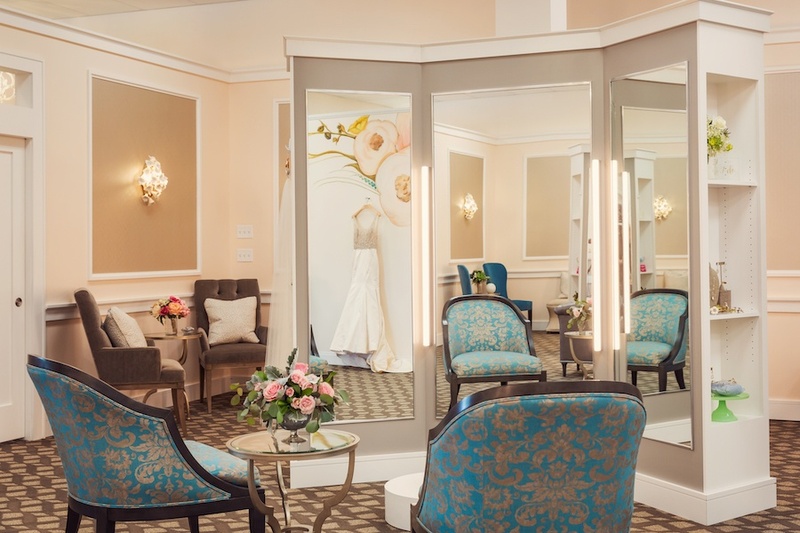 Located about an hour outside the city, this sprawling New Hampshire salon features an impressive selection of luxurious gowns by Anne Barge, Badgley Mischka, Lazaro, and more, plus attire for mom, your bridesmaids, and even the groom. Here, you’ll be set up in a private bridal suite with a consultant who will listen to your needs and bring a variety of gowns to you. They’ll even take a peek at your Pinterest board before your appointment to get a sense of your style. 775 Lafayette Rd., Portsmouth, New Hampshire, 603-431-5454, madeleinesdaughter.com. Musette offers sophisticated designs by Vera Wang, Lazaro, Pronovias, and other top designers, plus accessories to complete your look—all straight off the runways of Bridal Fashion Week. 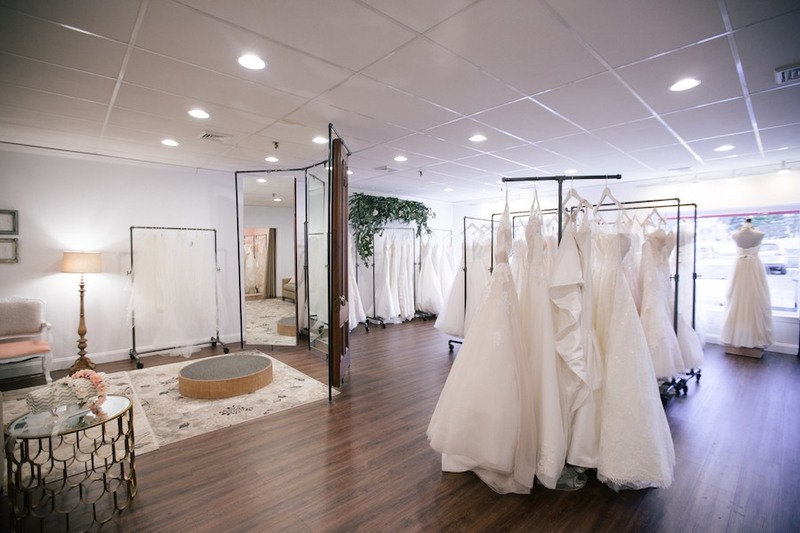 The shop’s atelier also handles any alterations, whether you’re simply adding straps or giving your mother’s wedding gown a total makeover for your own wedding day. 123 Newbury St., Boston, 617-424-1070, musettebridal.com. At Your Dream Bridal, the dress-shopping experience is truly all about the bride. Owner Malinda Macari will work with you one-on-one in a 90-minute appointment to help you zero in on exactly what you’re looking for. Whatever that vision is, you’re guaranteed to find it among the racks of covetable gowns by Truvelle, Lea-Ann Belter, Laudae, and more. 730 Boston Post Rd., Sudbury, 978-443-0810, yourdreambridal.com. This charming Andover shop bursts with in-demand styles, from modern frocks to lacy vintage-inspired gowns. Whether you book a standard appointment, which lasts for up to 90 minutes, or a totally private, mimosa-fueled “Glam Party” (during which the store will be closed to other customers for two hours), the store’s stylists will help you find your dream dress without the stress. For bargain-hunting brides, Tulle also offers an outlet where you’ll find gowns by designers such as Nicole Miller and Casablanca for up to 75 percent off. 342 North Main St., Andover, 978-470-1002, tullebridals.com.